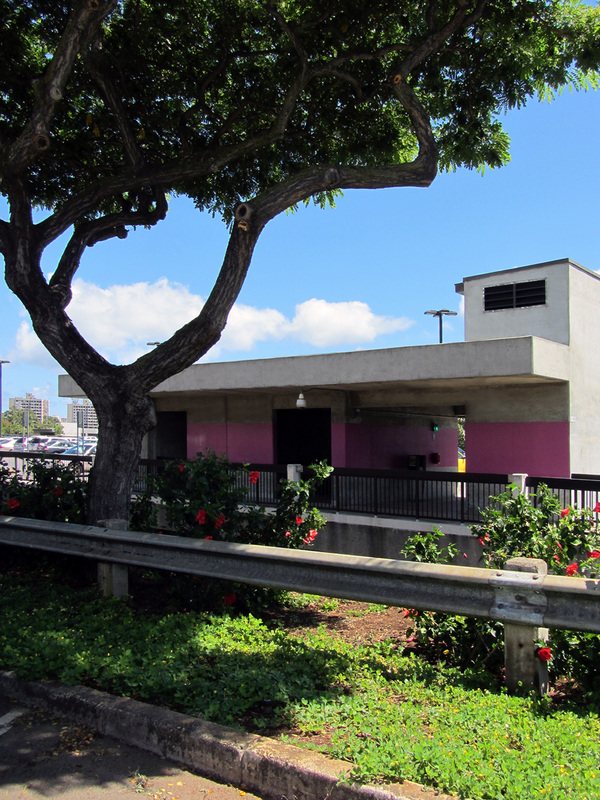 Permits for parking on the UH Mānoa campus provide a substantial savings compared to daily cash rates. Faculty, emeritus faculty, staff are eligible for semester or yearlong permits. Students are eligible for semester-based permits. Regular visitors and contractors may obtain temporary permits. Click here for the proposed new parking rates approved for presentation at public hearings by the University of Hawai'i Board of Regents on November 30, 2011. Implementation of the new rates require final approval by the BOR after the conclusion of the public hearings. Proposed effective date is July 1, 2012. Proper permits/passes must be displayed at all times in plain view. Motorcycles and mopeds: affixed on the left handlebar. A permit/pass designates a specific parking zone where the vehicle may be parked; it does not, however, guarantee a space in that specific University parking area. A permit for an Upper Campus lot is not transferable to any other Upper Campus lot, but may be used to park in the Lower Campus Parking Structure (Zone 20). All valid parking permits are issued solely by the authority of UHM Parking Operations. The use or possession of a(n) invalid, expired, counterfeit, altered, defaced, illegally transferred, or stolen permit/pass is prohibited and will result in a citation or boot. For your convenience, you may now pay for permits and citations online with a credit card. Click here for a Missing or Stolen Permit Report Form. File this report with the parking office to request a permit replacement. A $10 administrative fee is assessed to re-issue lost or stolen permits. Your previous permit number will be placed on a lost/stolen permit list and any vehicle using this permit will be subject to immediate tow. You may return your permit at any time for a prorated refund of its original value, less a $10 processing fee. Evening permits are non-refundable and not prorated.